Y’all are getting wild with the spelling – shout out to Enthani & Haiden… and a BIG nod to Rhyott, which easily made our all-time favorite list! Z is popping up here and there… Cezan and Dazani are super cool names that we’ve never heard before. We’re digging on the kind of British sounding vibe of several of these baby names – Euan, Baxter, Abra, Edyn, Thales, and Kerith! Someone let Kate Middleton & Prince Will know we’ve got some fun options for the next royal baby! Want more creative baby name inspiration? 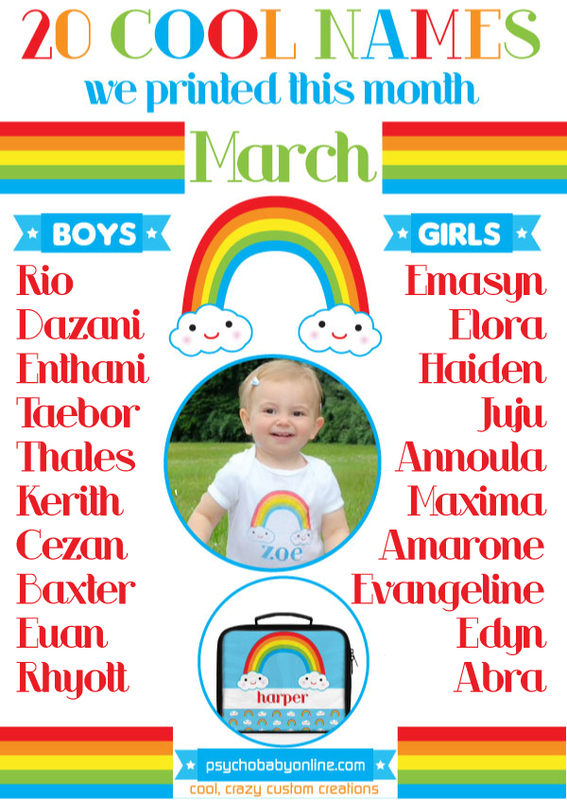 Click here for all of 2017’s crazy baby names & follow the rainbow over to our website for new spring styles for your whole family! 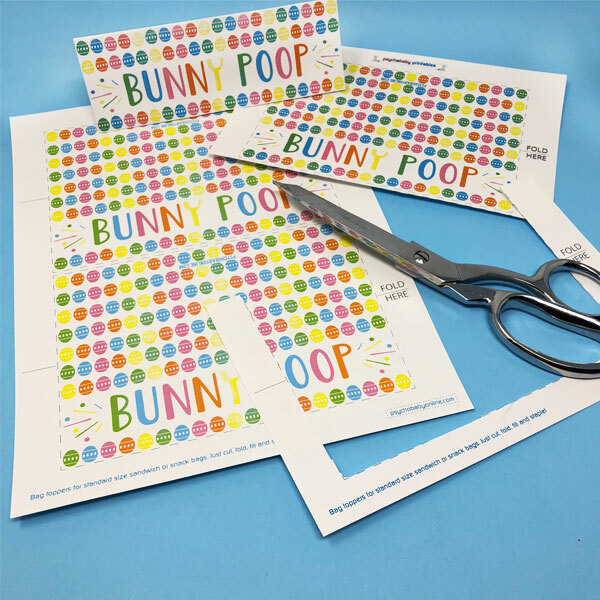 Our ‘Bunny Poop’ treat bag toppers are a super simple & totally egg-cellent way to whip up some cute Easter goodie bags! All you need is a printer, some standard width zip-top bags (either full size or the half-size “snack” baggies will work), and some mini-marshmallows! 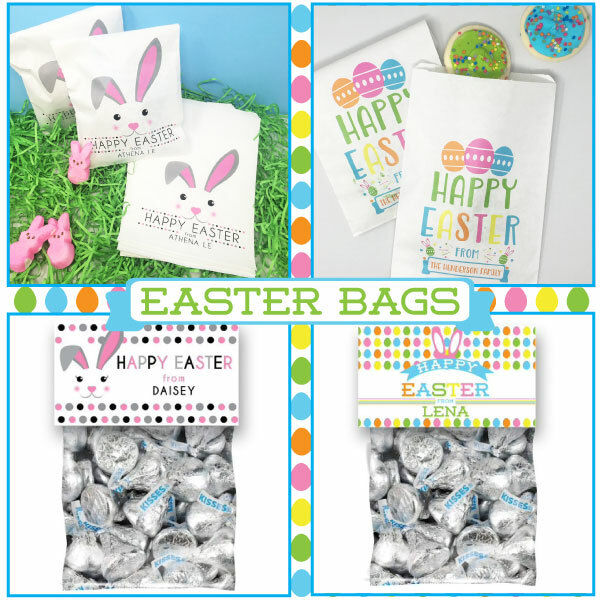 Easter is just around the corner and we are on the hunt for cute, creative things to tuck in our baskets this year. 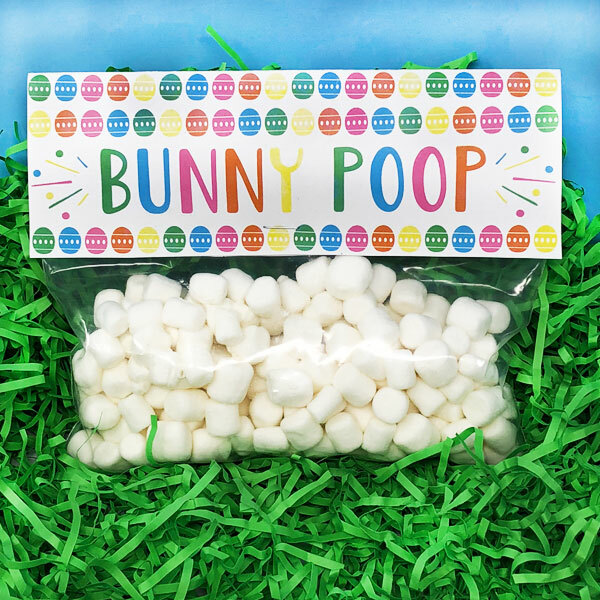 We’ve been filling up our new paper Easter favor bags with sugar cookies, marshmallow bunnies and all kinds of cute candy – but these are 6 candy alternatives that are just as adorable! All of these are available on Etsy.